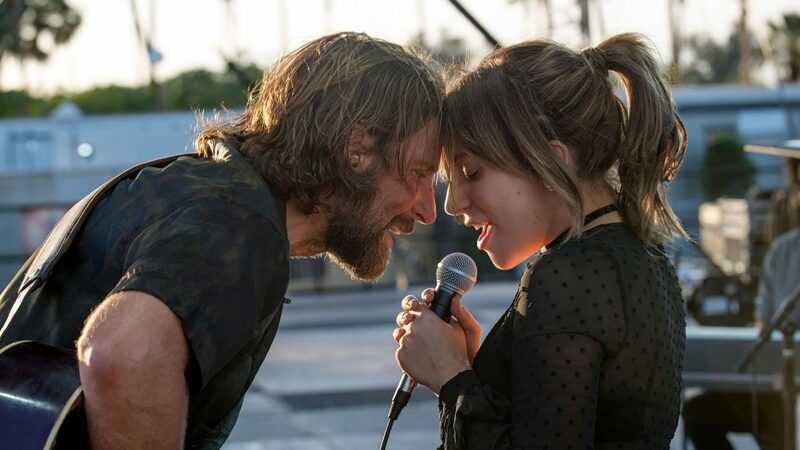 From Mary Poppins Returns to A Star is Born and Bohemian Rhapsody, 2018 proved that using songs to advance and/or enhance a movie’s plot is once again a relevant cinematic technique after years of declining in usage. 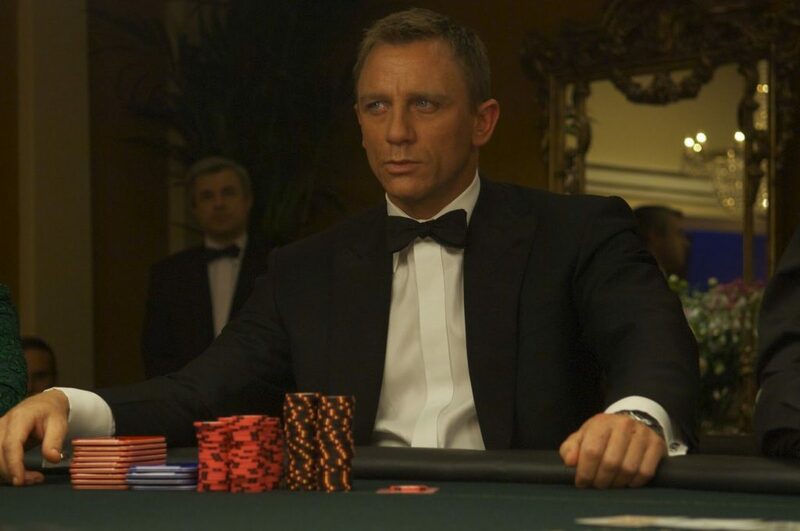 What is it about lyrical music that makes onscreen images extra resonant? 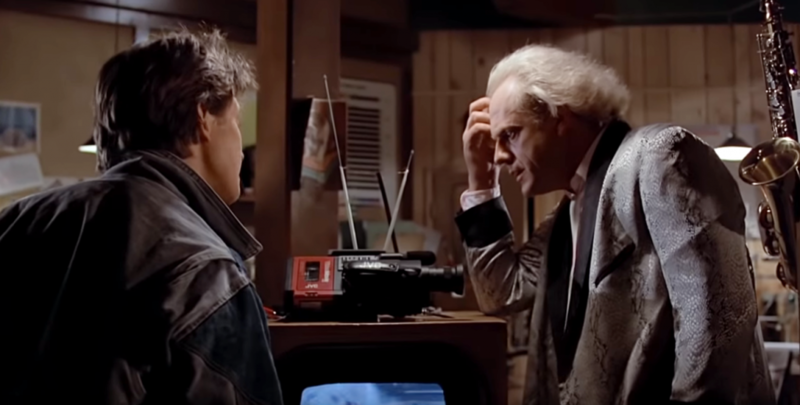 In order to answer this question, let us take a look at fifteen different songs both beloved and underrated that have graced the silver screen over the years. 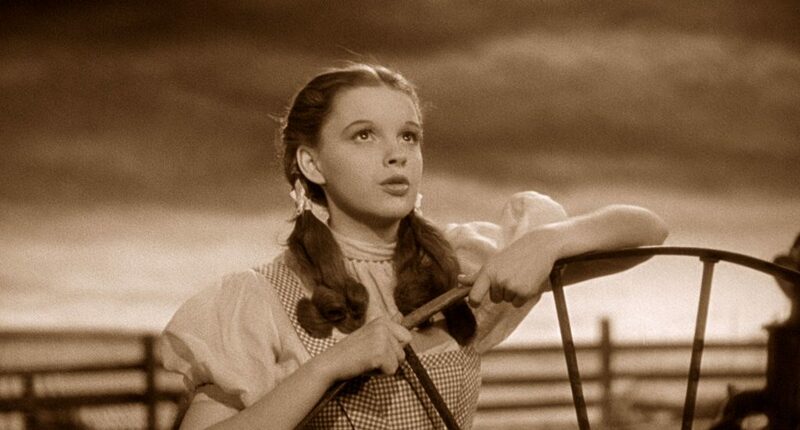 Frequently covered and revered as one of the most moving songs in movie history, Judy Garland’s simple, earnest musical expression of her heart’s longings is truly lovely, luminescent, and legendary. A sort of precursor to Disney’s “When You Wish Upon a Star” from the 1940 animated masterpiece Pinocchio, it speaks to the universal human dream of finding a place where wishes come true and all is right with the world. Few movie songs can top it for sheer cultural significance. 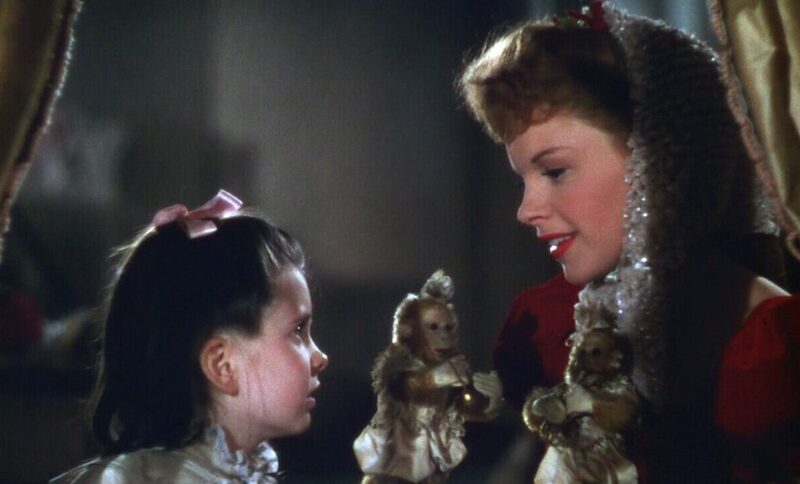 Another piece of Judy Garland vocal magic, “Have Yourself a Merry Little Christmas” has been covered again and again on Christmas albums throughout the years, but its emotional core is perhaps strongest in the movie for which it was written, Meet Me in St. Louis. Sung by a young lady trying to explain to her sister that the only thing constant in life is change, it is both pleasantly sentimental and painfully bittersweet. 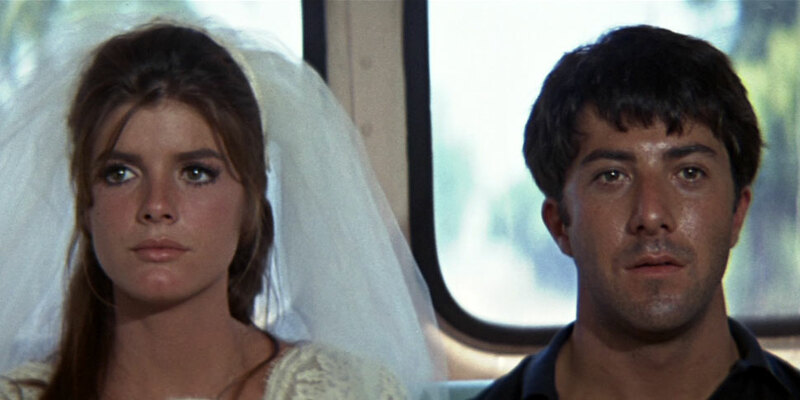 While written independently from the production of The Graduate, Simon & Garfunkel’s haunting masterpiece ended up being used as a sort of theme song for Dustin Hoffman’s character, Benjamin Braddock. Poetically addressing the spiritual confusion of youth and how difficult it is to sincerely communicate with each other, this song has transcended the compelling characters of The Graduate to become a universal plea for empathy. Even if you hate exercising, this rousing earworm might motivate you to go out and start running down the street. 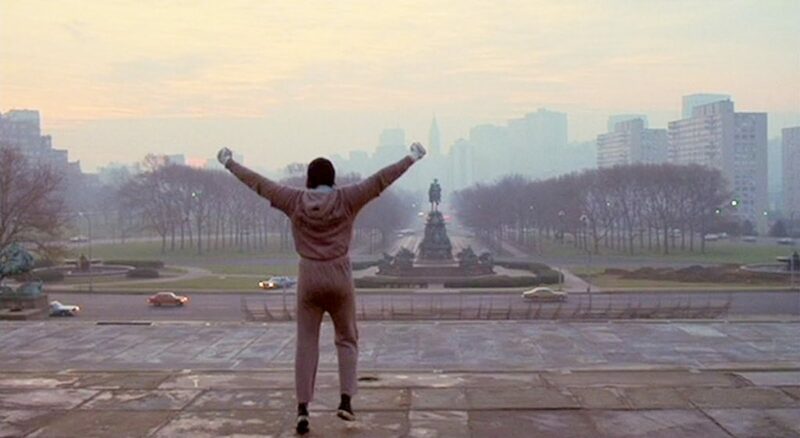 Written for the Best Picture-winning sports drama Rocky, it is the training montage song to end all training montage songs. It helps the audience root even more passionately for the lovable boxer Rocky Balboa, and it just makes you feel good. 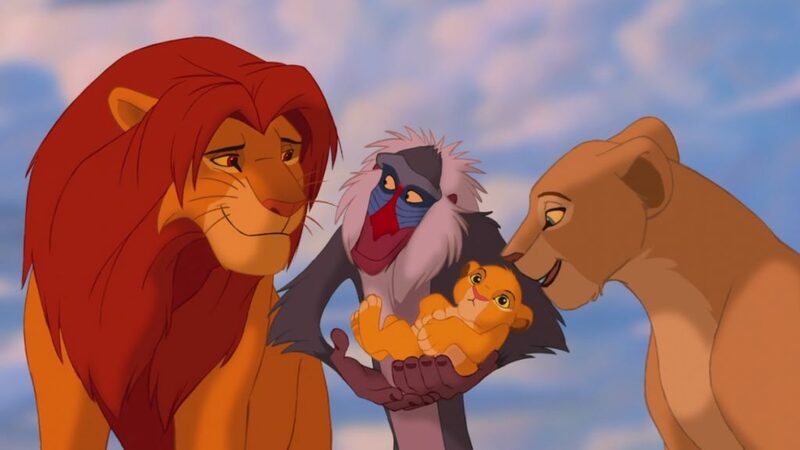 Hauntingly beautiful and thought-provoking even out of context, this Elton John/Tim Rice song provides a perfect backdrop for the opening images of Disney’s The Lion King. It masterfully contemplates both the unity of all living creatures and the inevitability of death, yet it does not come across as too heavy or intellectual, and it ranks among the best of the Disney motion picture songbook. 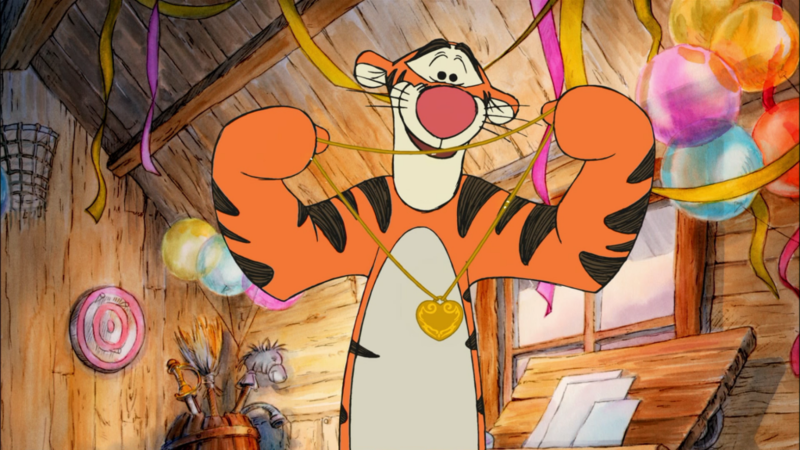 Written by rock star Kenny Loggins in collaboration with legendary Disney composers Richard M. Sherman and Robert B. Sherman, this heart-warming composition from The Tigger Movie is one of my favorite songs to listen to on a rough day. It strives to give consolation to anyone who has ever felt deeply lonely/isolated, and it is infused with an optimistic earnestness. The lyric, “No one is an island/When all is said and done” is particularly inspiring. 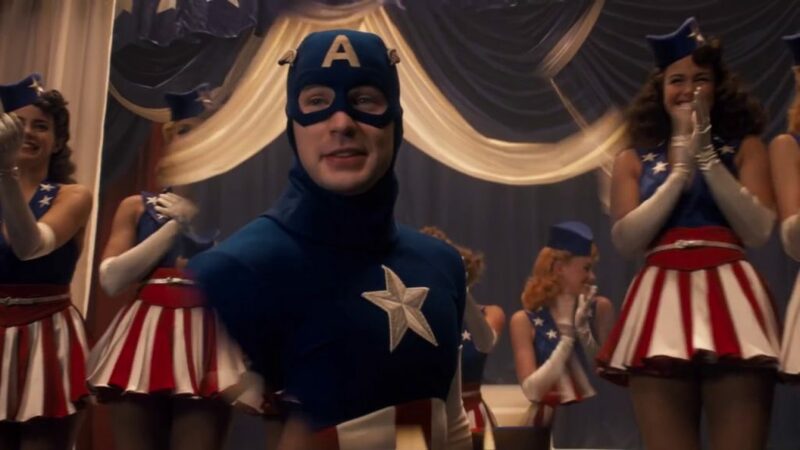 With music by Alan Menken (Beauty and the Beast) and lyrics by David Zippel (Mulan), this wonderfully witty and catchy patriotic tune is used during the montage midway through Marvel’s Captain America: The First Avenger when Steve Rogers is being used as a publicity stunt. 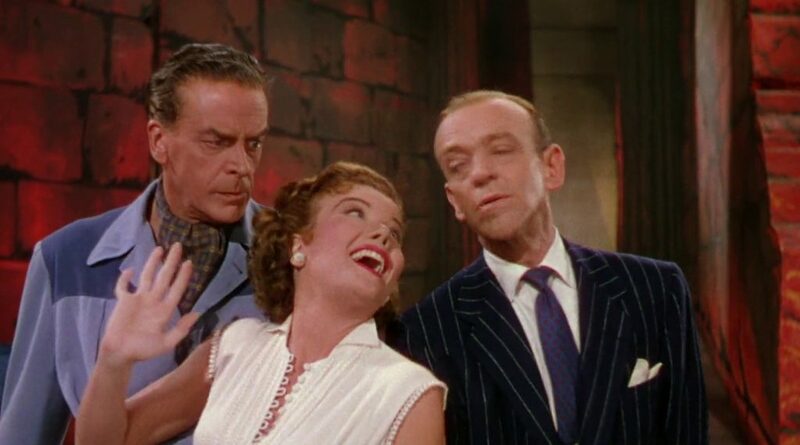 It was meant to be an homage to the 1940s tunes of Irving Berlin, and I do not know how it did not score an Oscar nomination for Best Original Song. “Who’ll hang a noose on the goose-steppin’ goons from Berlin?” Brilliant stuff! A truly delightful song in an endlessly delightful movie, this cheery ode to romantic “love-in-action” is made golden by Amy Adams’s perfectly sincere delivery. Its use in the movie brilliantly satirizes the implausibility of people randomly bursting into the same song, but it also admirably inspires couples everywhere to never take each other for granted. 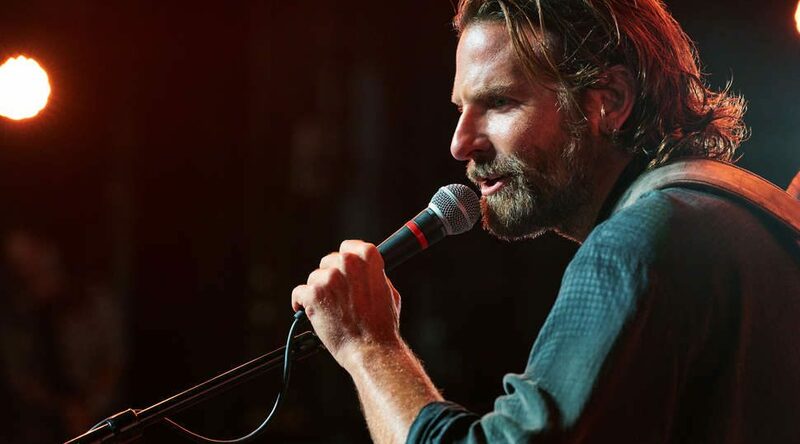 While the song “Shallow” has received the most popularity and awards attention, the subtly melancholic “Maybe It’s Time” from the beginning of A Star is Born arguably bears an even deeper emotional/thematic core, as it foreshadows the tragic trajectory of Bradley Cooper’s character. “It takes a lot to change a man/Hell, it takes a lot to try/Maybe it’s time to let the old ways die.” These contemplative lyrics are extra powerful when one considers that they are being uttered by a good-hearted alcoholic who feels helpless about changing his ways. Many critics have decried the songs of Mary Poppins Returns as “forgettable,” and while I do not think the movie is a masterpiece story-wise, I heartily disagree with this harsh musical assessment. “Nowhere to Go But Up” is particularly brimming with catchiness and a contagious optimism that is much needed in this often cynical world. “Let the past take a bow/The forever is now/And there’s nowhere to go but up!” This is certainly an encouraging reminder for days when we feel weighed down by mistakes of the past and oppressed by worries about the future. 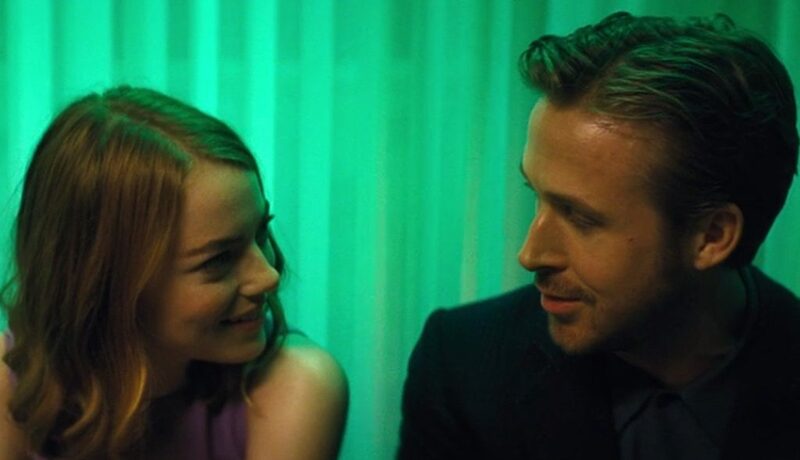 Winner of the Academy Award for Best Original Song, some might argue that this is not actually the most memorable or catchy song from La La Land, but its quiet, unassuming style is what makes it so lovely. “City of Stars/Just one thing everybody wants/There in the bars/And through the smokescreen of the crowded restaurants/It’s love/Yes, all we’re looking for is love from someone else.” I often have these poignant lyrics in mind whenever I am walking through crowded streets and observing my fellow human beings. Well, as Tigger would say, ta ta for now! As you have seen, lyrical music can add greater depth to the characters/plot of a movie and strengthen the thematic statement being made by the filmmakers, for it speaks to the human heart in mysterious ways that nothing else can. What are some of your favorite movie songs? Sam Hendrian is a student at JPCatholic (Class of 2019) pursuing an emphasis in Directing.